MimioBoard Touch 870T Interactive Whiteboard is an 87” board that offers an engaging learning experience and an unparalleled touch experience. A total of 6 students can use their finger or a pen on MimioBoard 870T concurrently or 3 students can work with dual touch gestures. Furthermore, the included MimioStudio™ Software enables student teacher engagement as well as manages to create an interactive classroom environment. 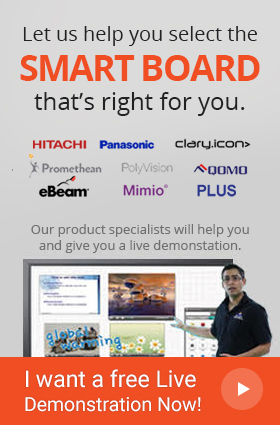 This software integrates MimioBoard 870T interactive whiteboard along with all other MimioClassroom™ products. In addition to this, 3 Free Mobile Connections permit users to connect up to three mobile devices using the MimioMobile™ app, allowing users to control the touch board from anywhere in the classroom. Moreover, the MimioBoard 870T can be used as a conventional erasable whiteboard as well as a projection-optimized touch board. Bigger and Better - MimioBoard Touch 870T Interactive Whiteboard! The MimioBoard Touch Interactive Whiteboard features a huge 87” screen that gives clear and vibrant results. The big screen ensures that even the backbenchers of the class clearly see what is being thought. The MimioBoard Touch 870T Interactive Whiteboard is made with the latest technology and its functions are extremely convenient for users to understand. Furthermore, the Interactive Whiteboard is powered by a USB cable which allows it to be plugged in anywhere in the world without worrying about the voltage specifications and socket shape. The Whiteboard touchscreen is backed by the Touch 360o technology that allows almost any object to work as a tool. The users can use the stylus, their fingers or any other solid object to work on the Whiteboard without damaging its touchscreen. With up to 6 simultaneous touch points, many users can easily work simultaneously on the whiteboard. This results in a more interactive class which encourages more participation from the students. Windows 7 and Windows 8: Includes multi-touch and gestures. Mac OS and Linux: Single point. Computer USB is the power source enabling “Start up and Go” in any country. I'm Chris Leonardo director of R&D; at Mimio and I'm here to tell you about MimioMobile. We created MimioMobile to leverage existing mobile devices in classrooms around the world. The app provides features for both collaboration and assessment. MimioMobile was designed to be easy to use and easy to implement for both students and teachers. One of the challenges of integrating mobile technology is getting teachers up and running as quickly and easily as possible. We believe MimioMobile provides a solution to this problem. Simply install a single license on the teacher’s computer and unlock the MimioMobile features for all mobile devices in the classroom. I'm Chris Leonardo director of R&D; at Mimio and I'm here to tell you about MimioMobile. We created MimioMobile to leverage existing mobile devices in classrooms around the world. The app provides features for both collaboration and assessment. MimioMobile was designed to be easy to use and easy to implement for both students and teachers. One of the challenges of integrating mobile technology is getting teachers up and running as quickly and easily as possible. We believe MimioMobile provides a solution to this problem. Simply install a single license on the teacher’s computer and unlock the MimioMobile features for all mobile devices in the classroom. Connecting these devices is as simple as using our QR Connect process. To use the QR connect functionality, the teacher displays the code at the front of the classroom from MimioStudio, and the student from their desk clicks and points the device. And that's how easy it is to get your class up and running with MimioMobile. The two main features MimioMobile supports for collaboration are the control feature and the collaborate feature. The control feature allows the teacher to pass desktop control to a student's mobile device and have that student control the desktop. The collaborate feature allows small groups of students to work together on their mobile device and then share their work with the rest of the class. Now I'm going to show you one of the collaborative features of MimioMobile. Sitting in front of me our four students each with their own mobile device. But this could also be for groups of students sharing the mobile device and the software supports up to nine devices. I'm going to use my teacher mobile device to launch the collaborate feature. You’ll notice that the screen is split into four different areas one for each device being used. I can highlight one of the students work and we can see that this student has a grasp on the percussion but needs to work on woodwinds. This is an example of one of the collaborative features of MimioMobile the control feature is similar to the collaborate feature but the teacher can pass control of the desktop to one student. When I launch control you'll notice that the list of the mobile devices in the classroom are displayed and the teacher can choose to pass control to student three. Student three can then work from their desk on the activity in front of the whole class. At any point in the lesson the teacher can decide to take back control from that student. MimioMobile supports multiple types of assessment responses including multiple choice and open response. This allows the teacher to conduct real-time formative assessment in the classroom. Now I'm going to demonstrate the assessment features of the MimioMobile app. I can pull the class with a multiple-choice question about prime numbers. Once all the students have answered on their mobile devices the correct answers displayed and we can look at the results. Noting that most of the class understood the question. Moving on I can ask a second question an open response question about planets in the solar system. While the students type their answers note the different mobile devices being used both large and small tablets as well as phones. Again when all the students have answered the correct answers are displayed. Note that the software provides immediate feedback based on how the students respond about how well they know the lesson. we hope you are as excited to use MimioMobile as we were to create it. Q: Is MimioBoard Touch 870T ideal for a classroom of young students? 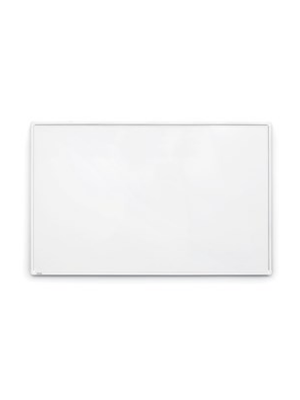 A: Yes, the screen of MimioBoard 870T is made up of magnetic, porcelain steel surface which makes it durable enough to survive rough use by younger students. Q: Does this interactive whiteboard support multiple touches? A: The MimioBoard interactive whiteboard comes with the capability of recognizing up to 6 simultaneous touch points. Q: What are the power requirements of MimioBoard 870T? A: The whiteboard is powered by a USB port. Q: Which operating systems are compatible with MimioBoard 870T? A: The MimioBoard 870T Interactive Whiteboard is compatible with all the popular operating systems such as Windows, Mac, Linux, etc. Q: Does MimioBoard come with a warranty? A: Yes, it comes with a 2 – year warranty that can be extended to 5 years upon registration.